The Haruv Institute was chosen to lead MeHalev Initiative. Haruv is Israel's leading training and research center and one of the preeminent institutions worldwide in the field of child abuse and neglect. The Institute was established in 2007 to train professionals, paraprofessionals, researchers, parents and children on the prevention, identification, treatment and rehabilitation of abused and neglected children, and to develop and disseminate advanced professional knowledge in Israel and throughout the world. EBS BrokerTec is a market-leading e-trading technology and solutions web-based provider. EBS, with Mr. Gil Mandelzis as its CEO, is the main strategic partner behind MeHalev Initiative and its generous financial assistance helps to develop and maintain MeHalev's activities. The Charles and Lynn Schusterman Family Foundation is a global organization that seeks to ignite the passion in young people to create positive change. Through its philanthropic arm in Israel, the Foundation's investments are targeted toward helping Israelis meet the demands of its growing and increasingly diverse society by transforming the treatment and prevention of child abuse. The Foundation's generous support for MeHalev Initiative allows it to function independently and to work towards a substantial change in the field of child maltreatment in Israel. The Israel National Council for the Child (NCC), an independent non-governmental organization, stands as Israel's foremost advocate for all children's rights and well-being, regardless of ethnicity, religious affiliation, or social-economic status. NCC, in partnership with MeHalev, is working to change and promote legislation that will protect children from suffering abuse and neglect, and is leading a public campaign that aims to raise awareness for the phenomenon and place it in high priority in the public discourse and in policy makers' agenda. 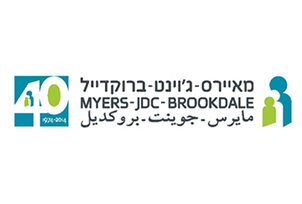 The Myers-JDC-Brookdale Institute is Israel’s leading center for applied research on social policy and services, serving Israel, the Jewish world, and the international community. The Engelberg Center for Children and Youth is leading in partnership with MeHalev Initiative the development of a national index to measure the complex phenomenon of child abuse and neglect. The Boston Consulting Group (BCG) is one of the leading worldwide management consulting firms. BCG Israel has generously taken the task of leading the strategy and content development of MeHalev Initiative, as well as its performance evaluation. 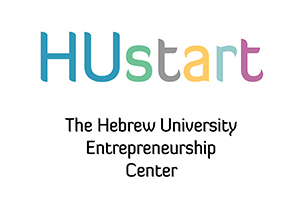 HUstart, The Hebrew University Entrepreneurship Center is a joint venture of the Faculty of Science, the Business School (Through the generosity of the Asper Center for Entrepreneurship and Innovation) and Yissum. HUstart provides practical education, support, mentorships and connections needed for its community members to become effective entrepreneurs. HUstart,in partnership with MeHalev, operate a Social Hub for the prevention of child abuse and neglect.